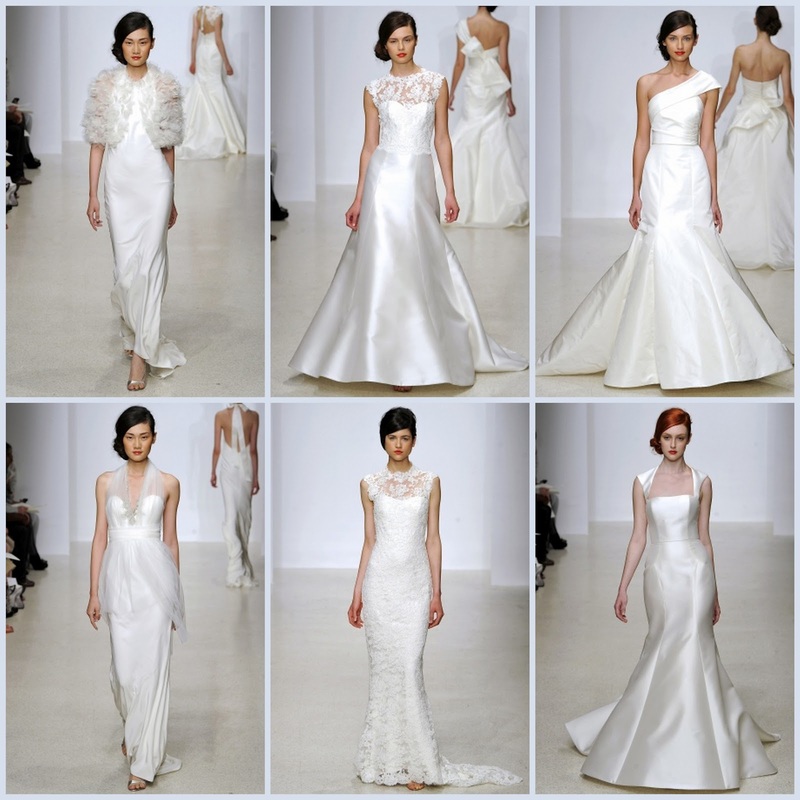 To continue on with our Bridal Market Week previews for the 2013 collections, here are some of our favorites from Amsale. We're thinking the Middleton sisters were somewhat of an inspiration here with the delicate lace and simple, fitted silhouettes. We're also loving all those side buns!